What practical steps can you take at your club to prepare, recognise and manage concussion and other injuries? Following a presentation by myself and Dr Emir Battaloglu at the recent BAFCA conference we had several questions about the practical steps which can be put in place to ensure the best management of acute injuries. Here are some steps which clubs can follow which will allow for better injury management and player welfare. AED – do you have access to an AED on site at both training and game day? If not, do you know where your nearest one is? Alternatively your club can apply for funding to support the purchase of an AED. 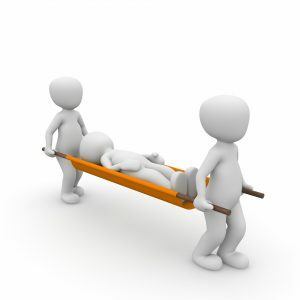 Identified Emergency Assistants – should there be an emergency it is handy to have select identified individuals who are trained in how to use a stretcher. Ideally these individuals will have completed a first aid certificate and should be non-playing members i.e. coaching or management staff. These individuals should be present at each game and skills can be updated at the start of each season. Medical Staff– emergency assistants should be lead by medical staff. These individuals should fall under the requirements of BAFA which you can find here in article 1.a.. Ideally medical staff should be present at both training and on game days. 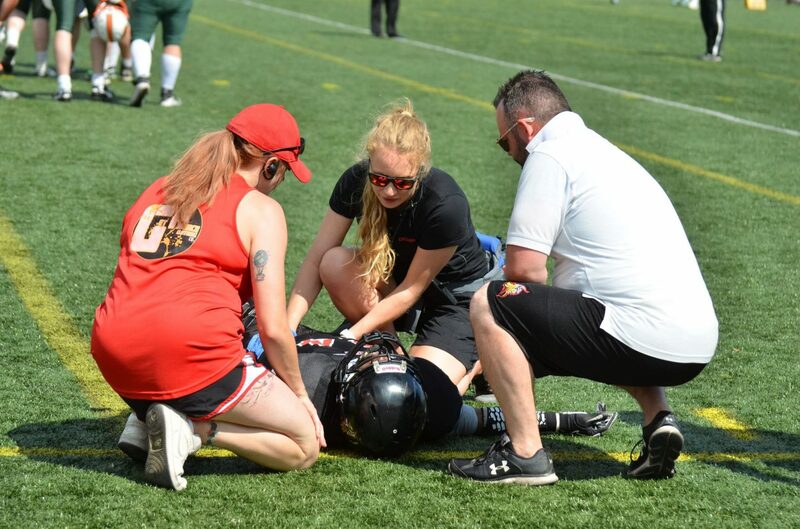 Yes, bringing medical staff onto the team can seem expensive, but no more than an external ambulance company you would be required to bring in on game day. And if the club environment is right, perhaps this medic will become invested in the team! Pre-season CDP – short information sessions can be used to update returners and inform rookies on club policies and simple methods to improve player health such as recovery strategies, acute injury care, nutrition, warming up etc. Get in contact if this is something you’d like Gridiron Strong to provide. Pitch-side Injury Care – Keeping a short information manual about acute injuries on your phone can be handy. I created a short ebook which is just that. You can purchase it here for a minimal price. Helmets – ensure all your helmets have been reconditioned and are up to scratch prior to the season beginning. Baseline SCAT5 test – If you have a team medic, asking them to conduct a baseline concussion test for each player allows for easier analysis post suspected concussion. Where possible this should be done at the beginning of a season. 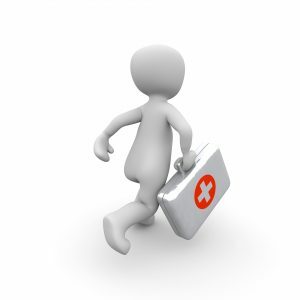 Emergency Contacts – ensure you have the emergency contact details of each player which can be used in emergencies. Agreed Protocol in Place – Make players aware of the return to play protocol following a concussion prior to the season beginning. This can be found within the BAFA guidelines here. Some of these are small risks but 100% worth preparing for. If you have any further questions please contact Gridiron Strong.